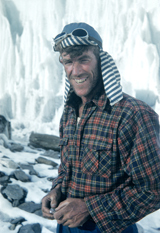 Peter Hillary comes from one of the great families of mountaineering and has a history of world-class achievements in climbing. 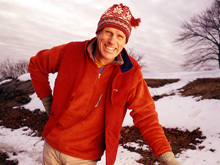 Like his father, the late Sir Edmund Hillary, who made the first ascent of Mt Everest with his climbing partner Tenzing Norgay in 1953, Peter has summited Everest and forged a new route to the South Pole. 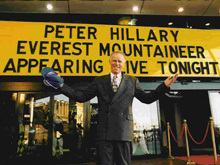 The names Everest and Hillary are forever linked, and will always be associated with high adventure. 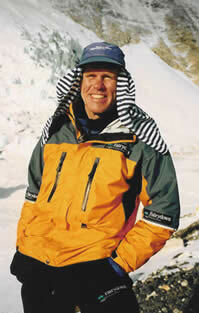 Peter Hillary is an accomplished mountaineer, speaker and expedition leader. 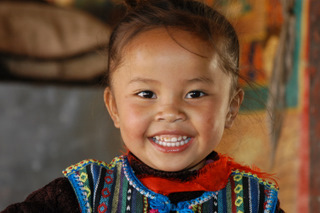 He raises funds for Himalayan Foundations around the world and owns the Hillary Brand, a line of HILLARY branded goods. Together with his sister Sarah Hillary, they manage the intellectual property of the Ed Hillary estate. 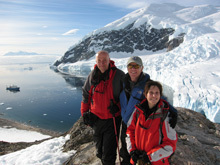 "Powerful experiences stand out like a beacon in your life story"
"I climb for the camaraderie, as much as any goal." "YOU are all you have"
"You don't have to be a fantastic hero to do certain things - to compete. You can be just an ordinary chap, sufficiently motivated." "A little bit of fear is essential. Fear makes you careful, fear makes you good."